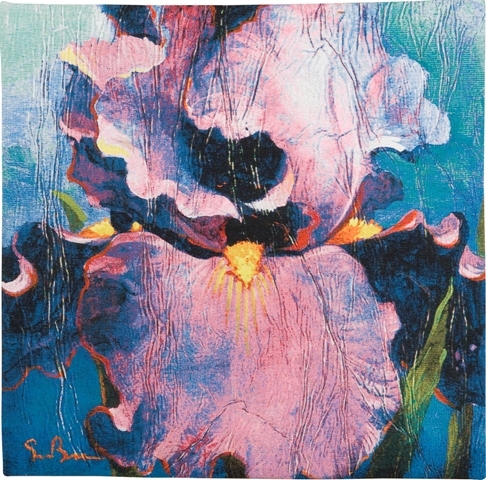 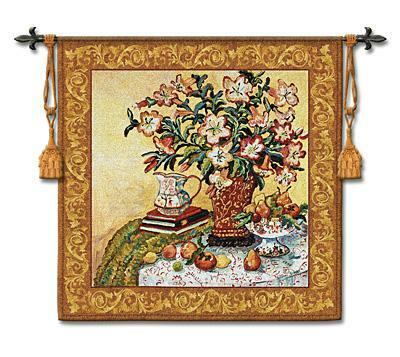 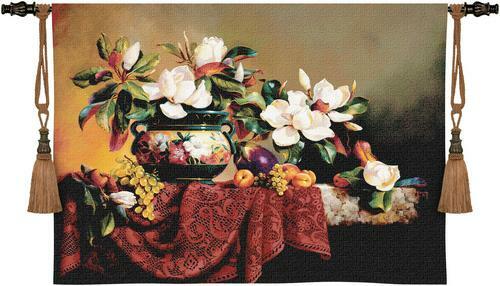 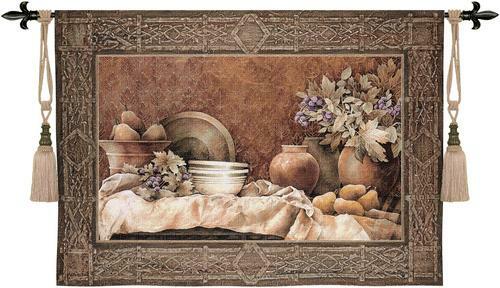 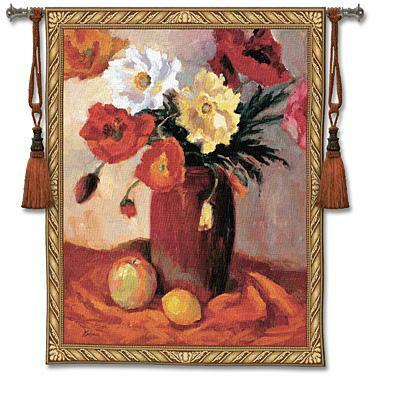 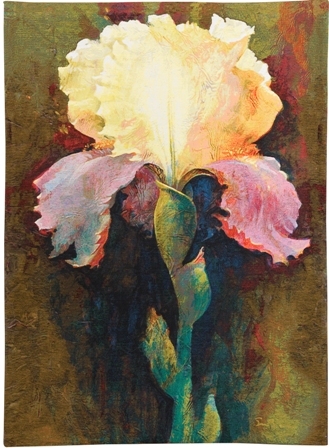 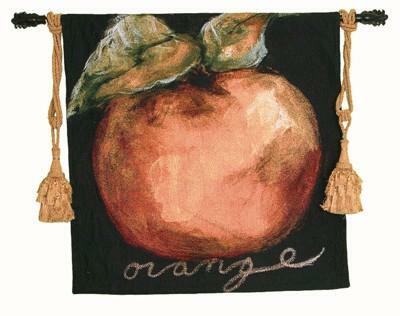 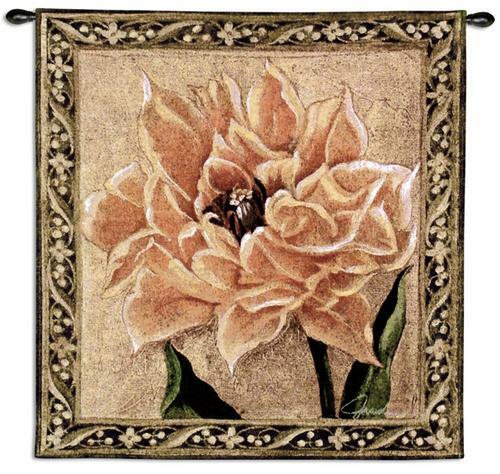 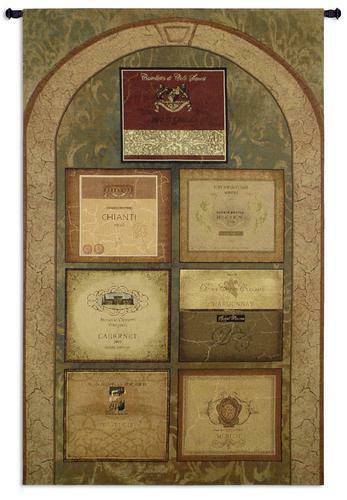 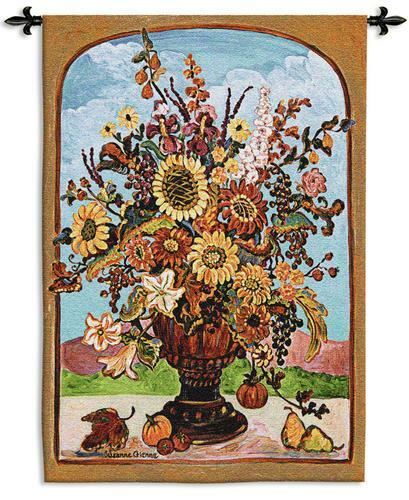 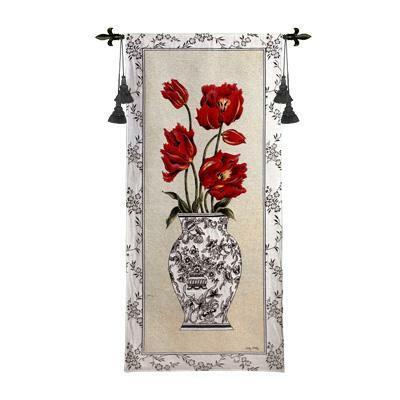 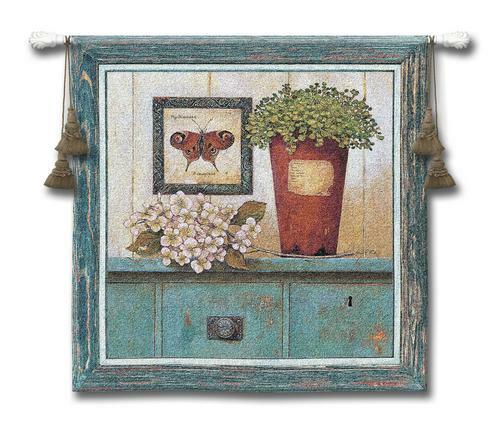 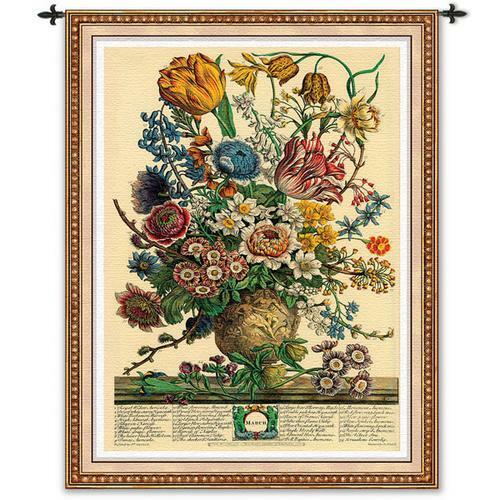 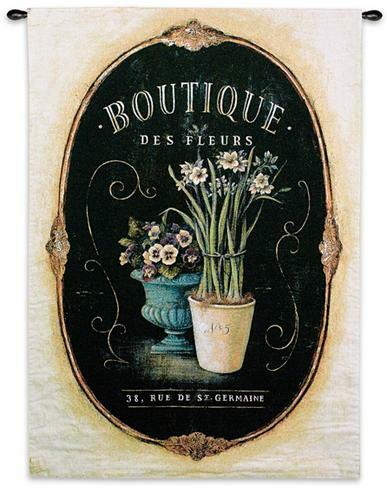 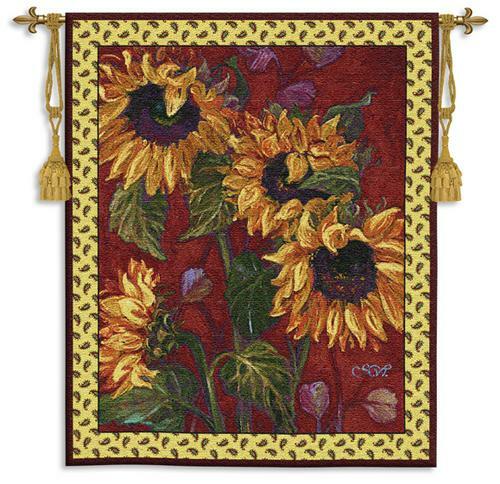 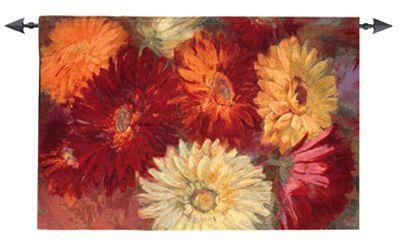 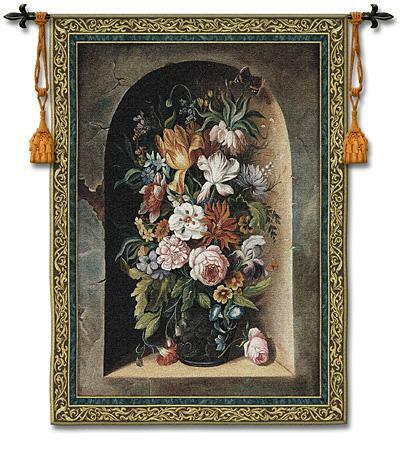 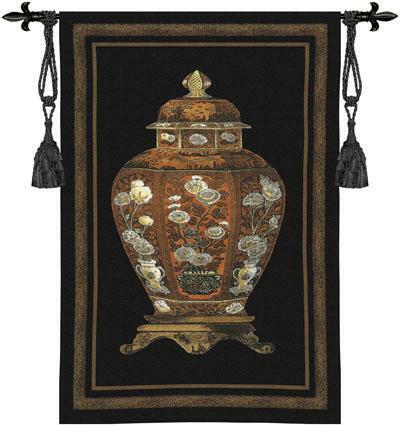 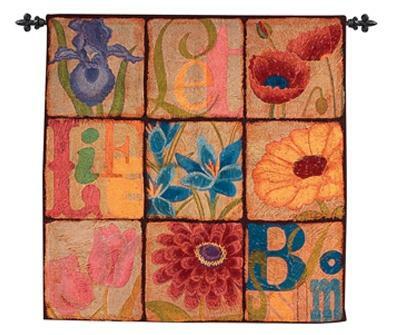 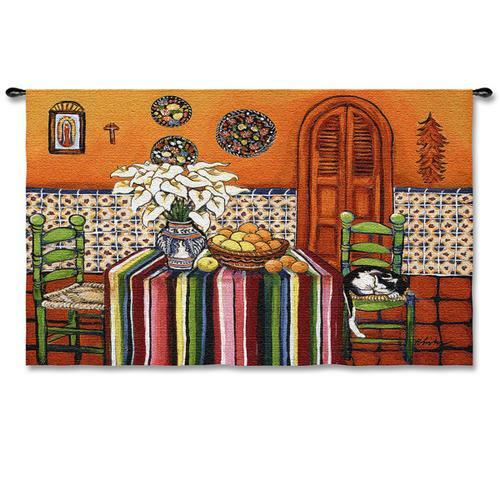 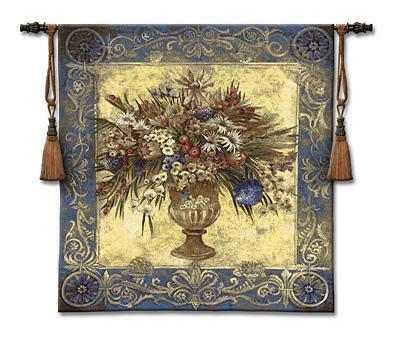 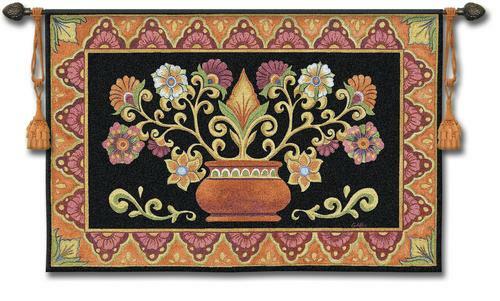 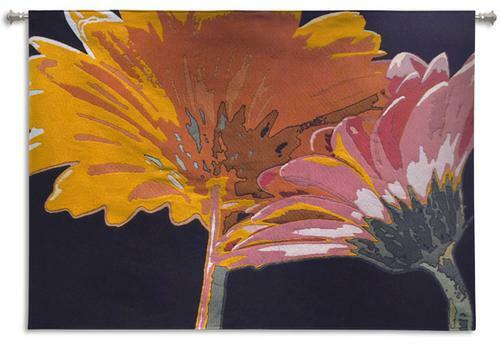 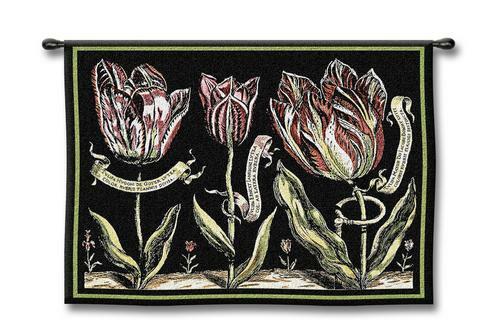 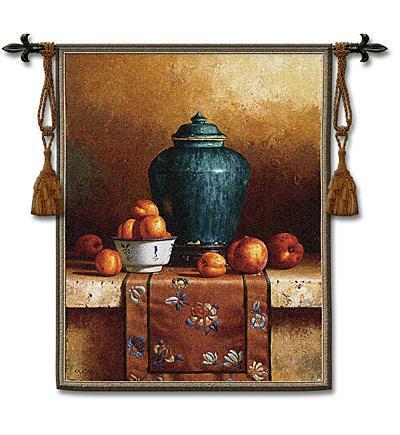 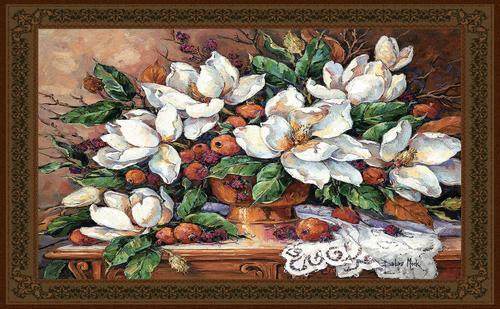 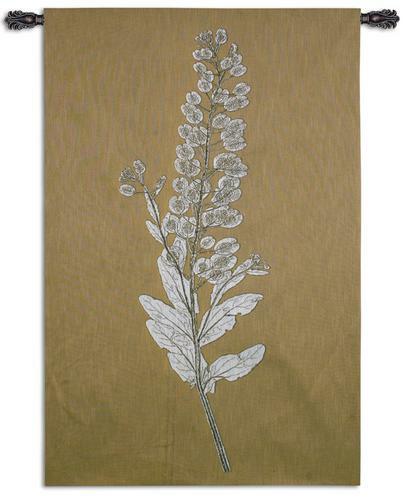 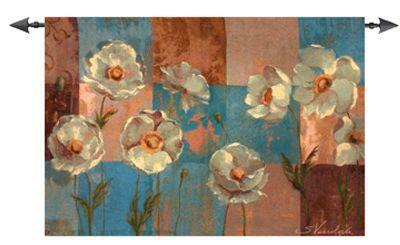 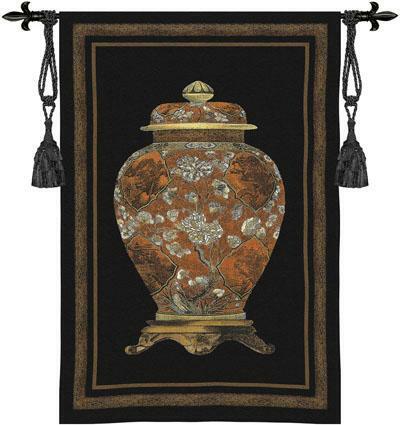 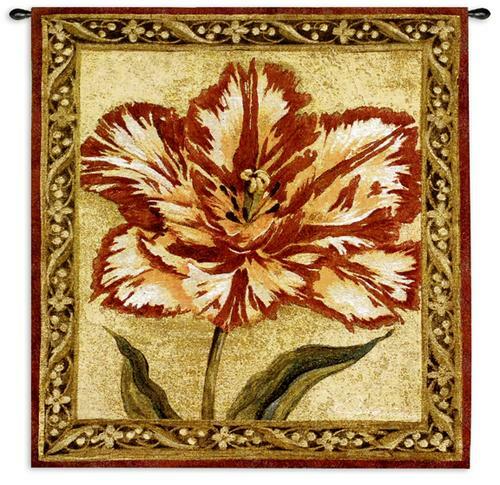 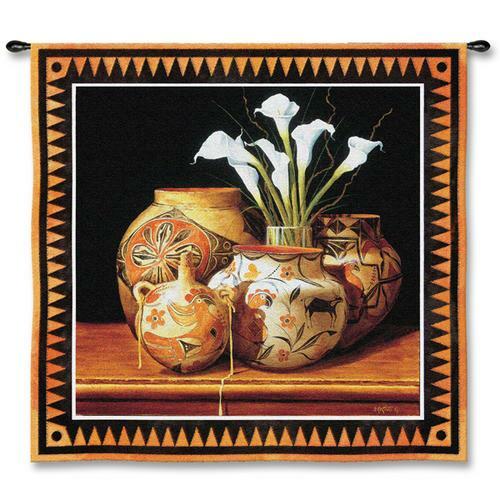 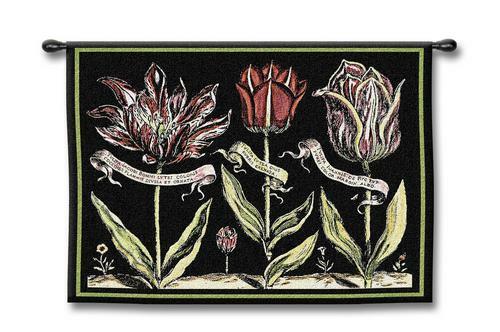 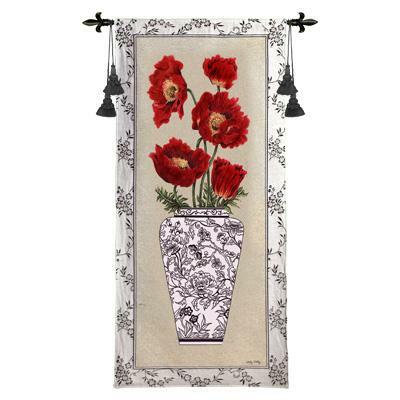 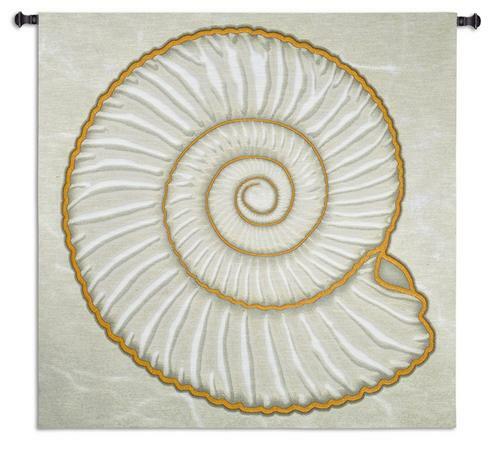 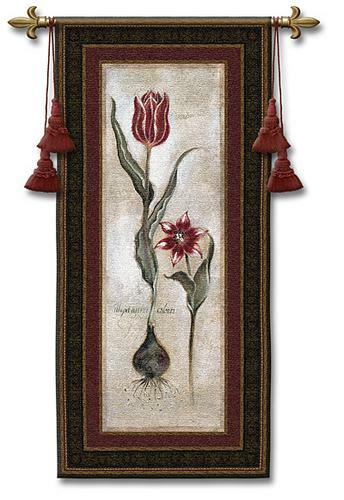 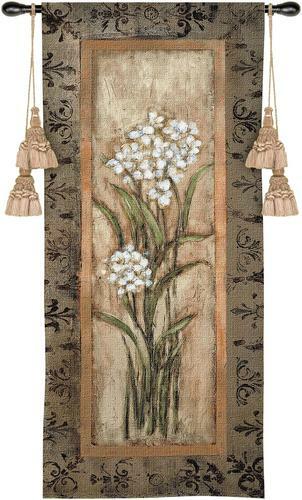 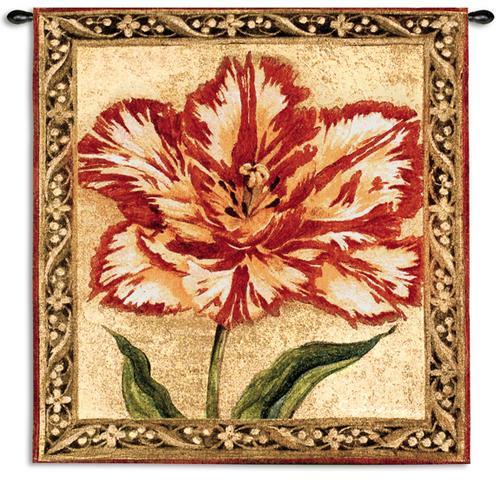 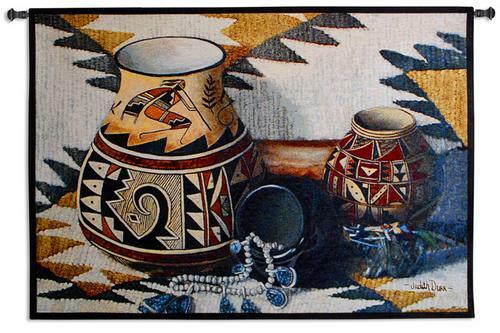 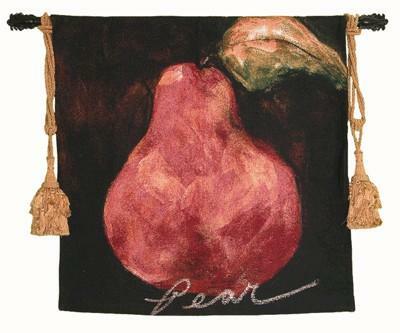 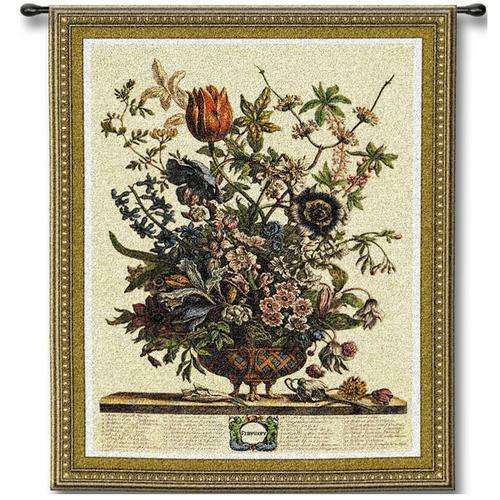 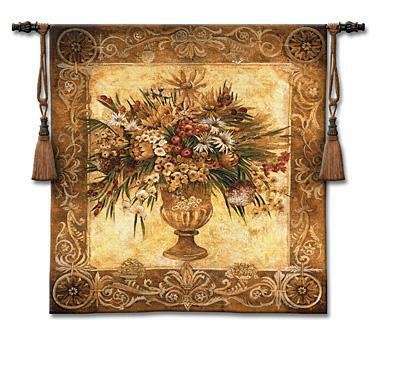 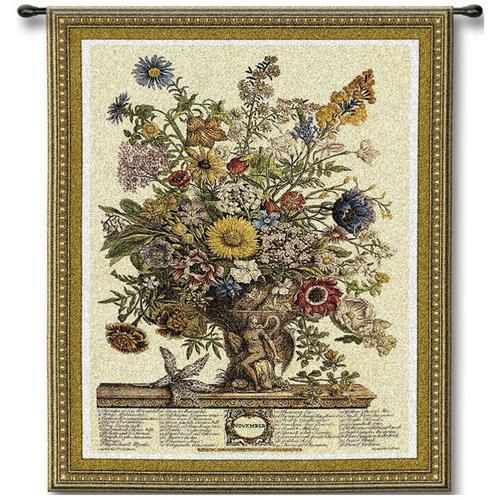 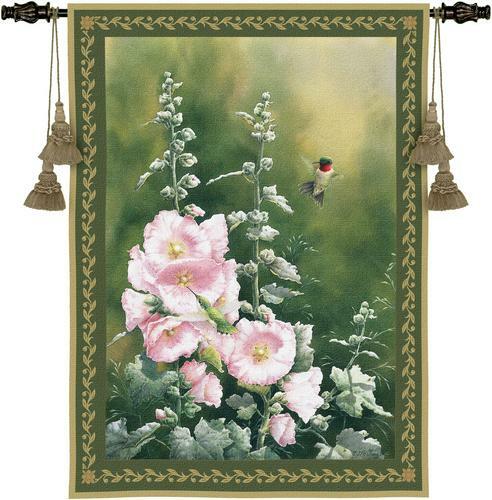 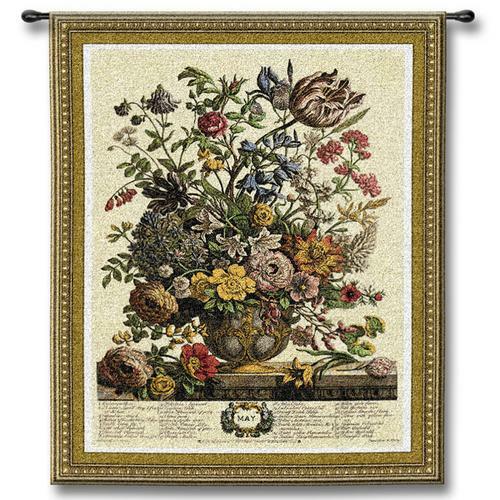 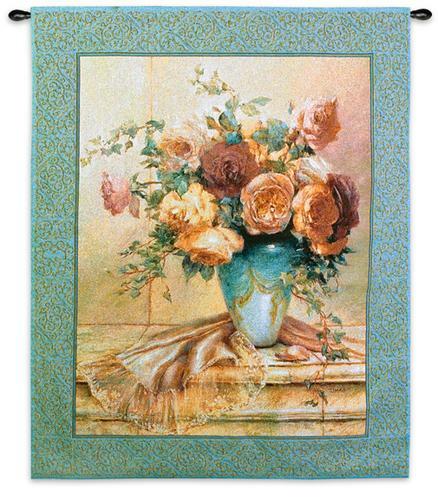 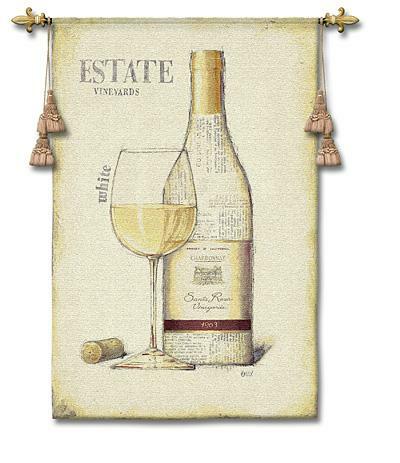 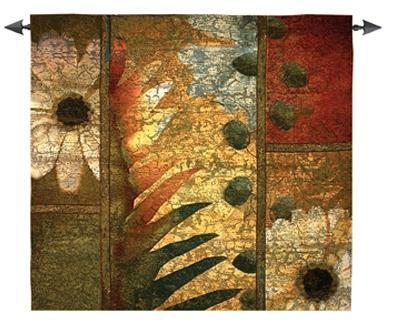 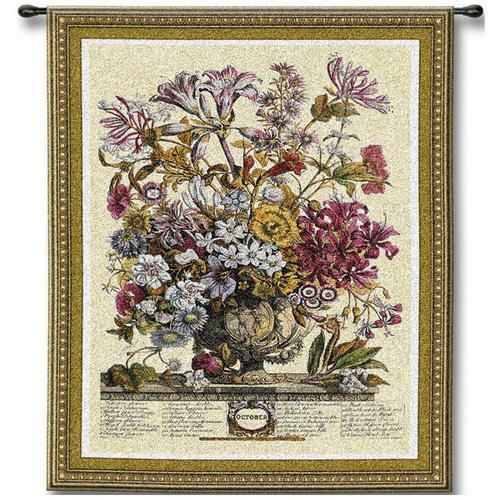 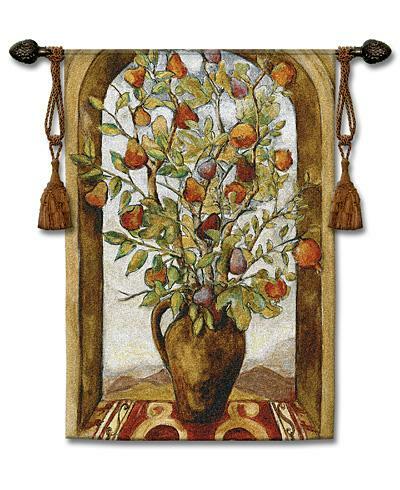 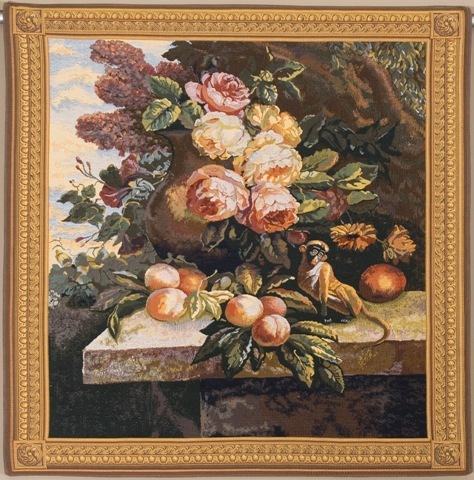 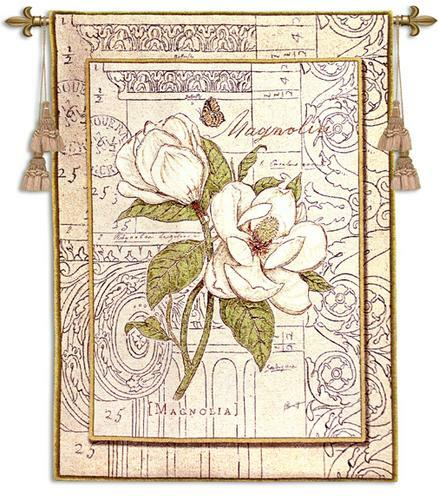 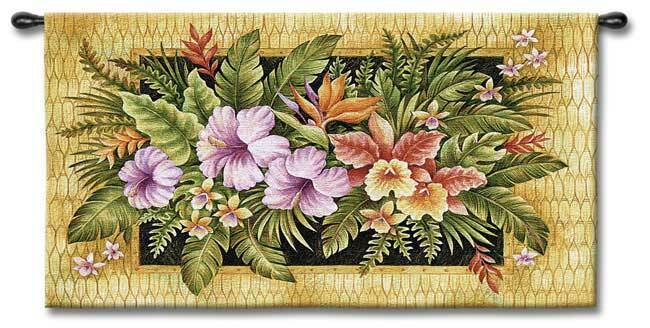 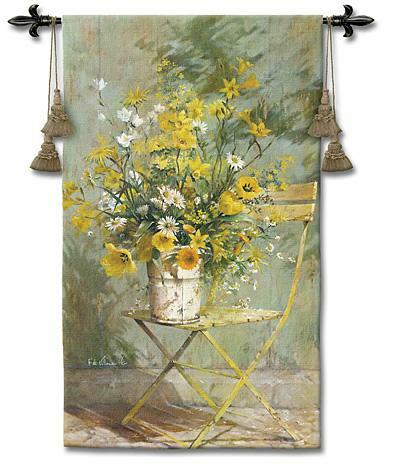 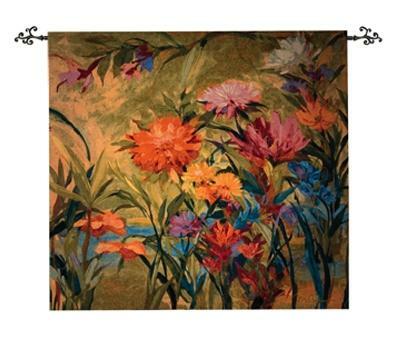 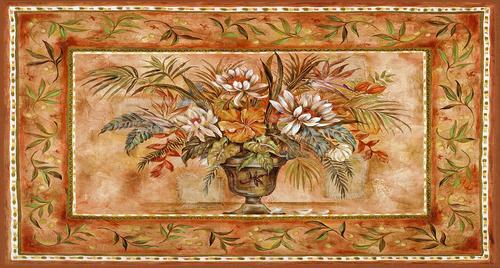 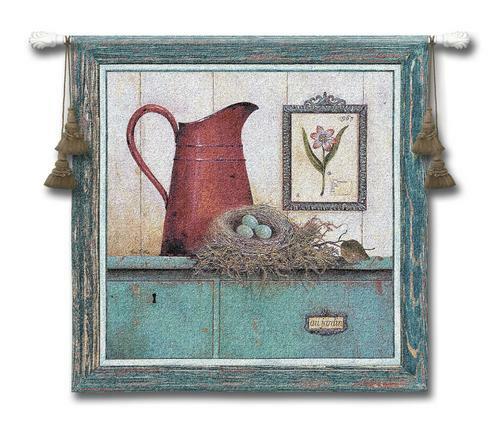 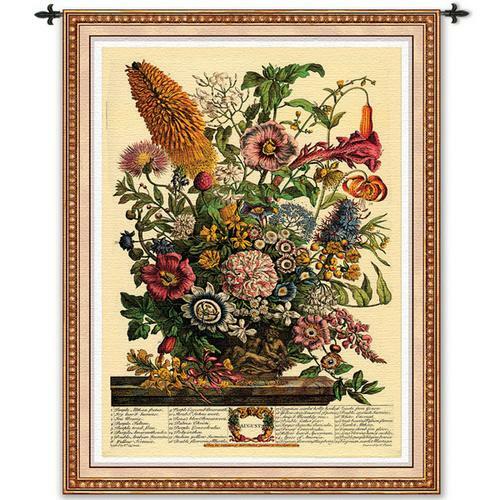 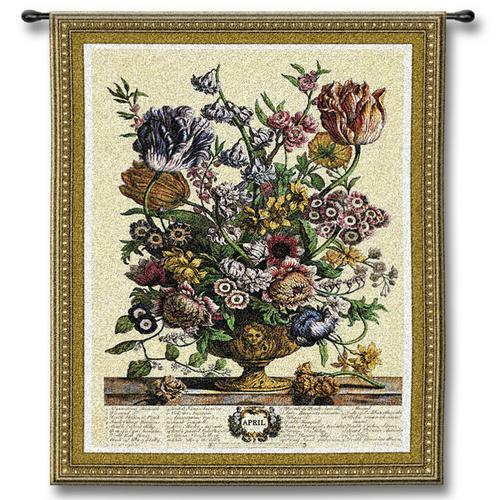 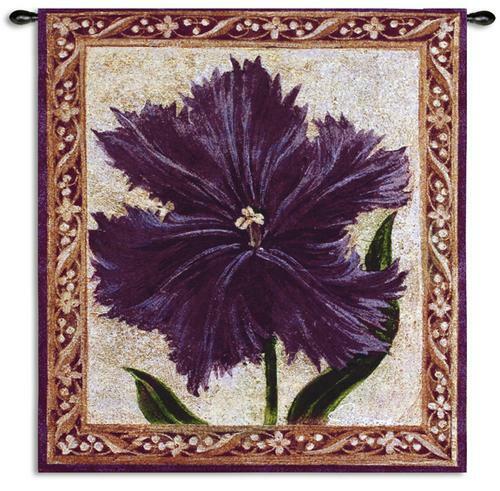 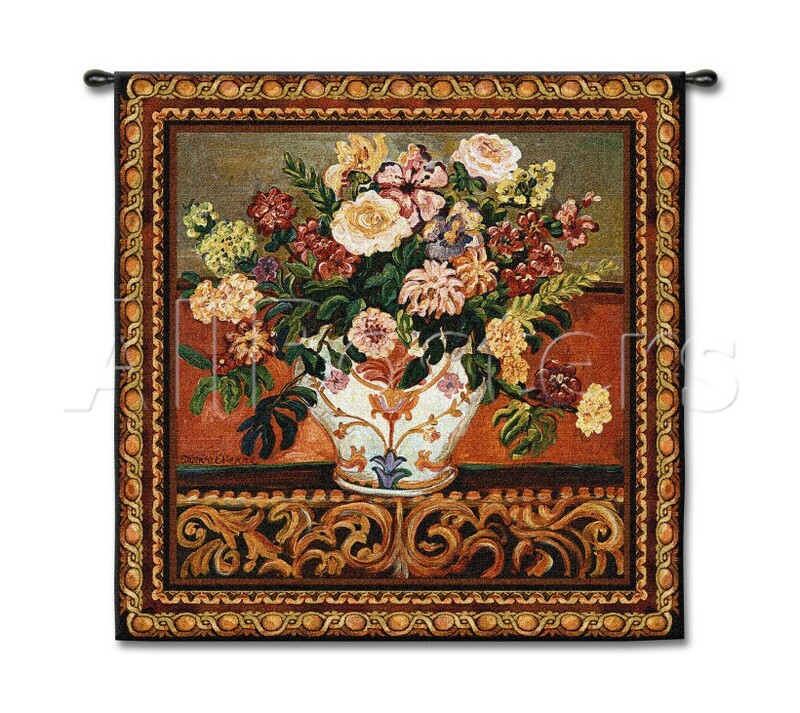 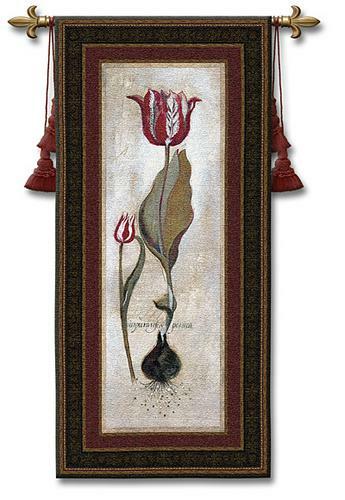 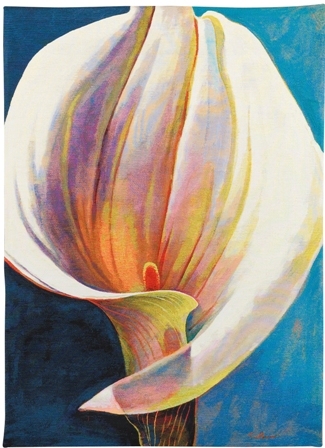 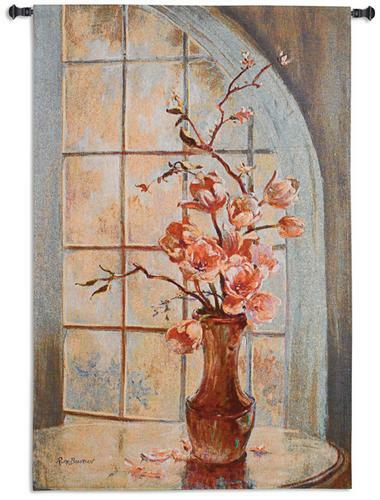 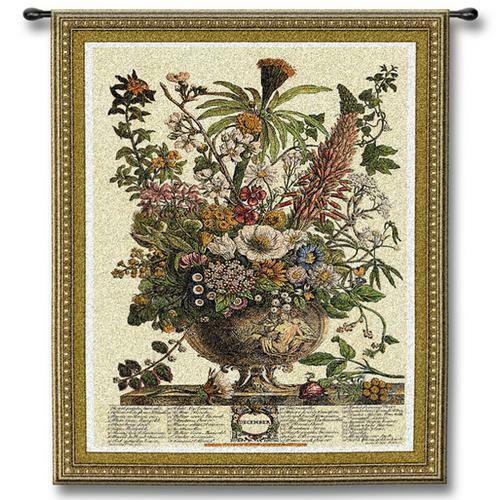 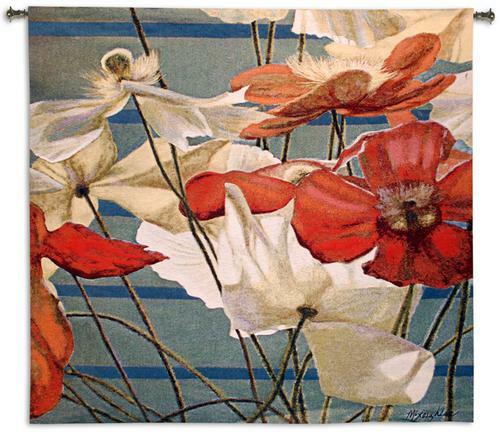 Floral art tapestries are great decorating ideas for dining rooms, kitchens and bedrooms. 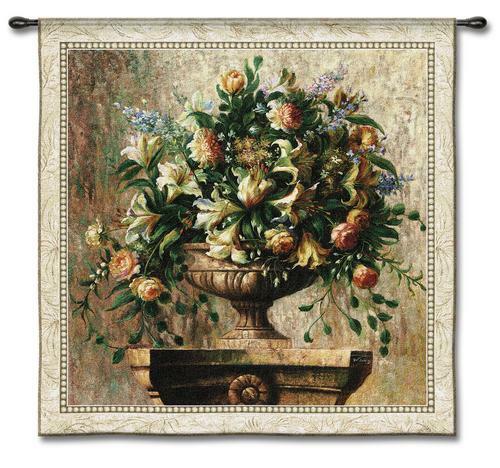 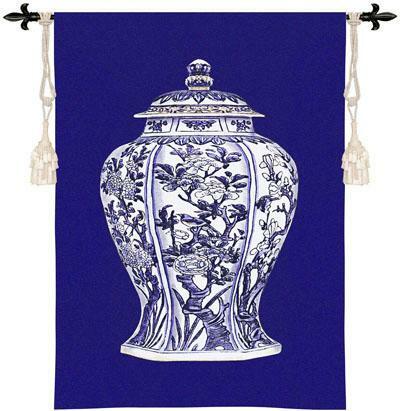 Whatever your taste or your home interior style is, you can find a suitable floral tapestry for your room decor. 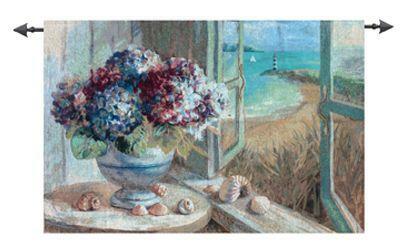 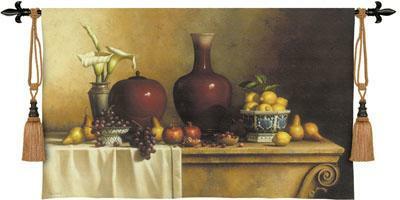 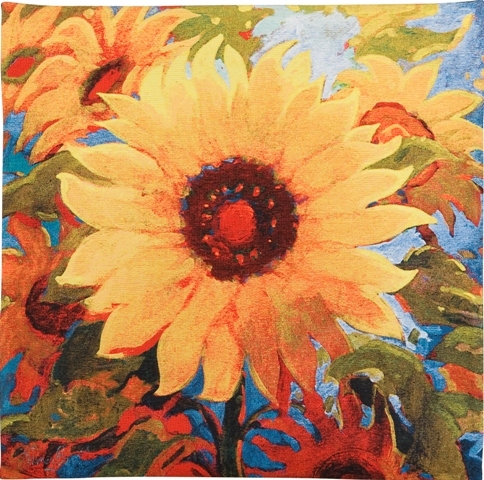 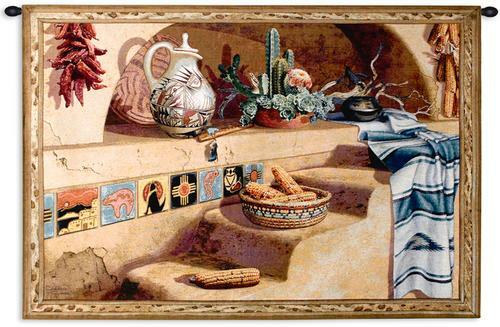 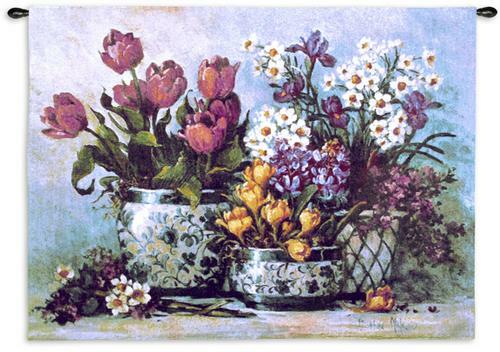 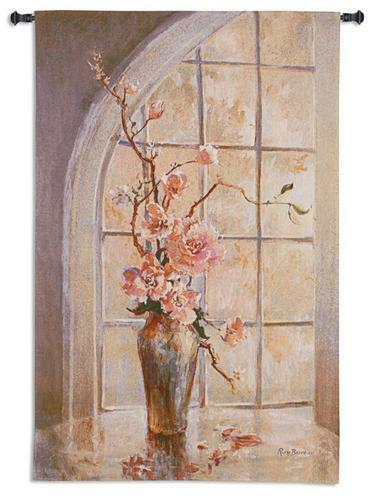 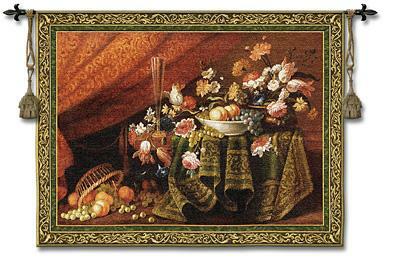 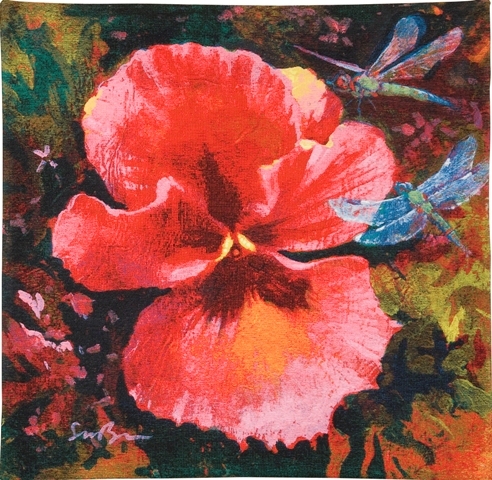 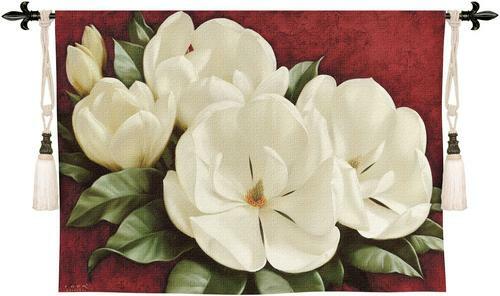 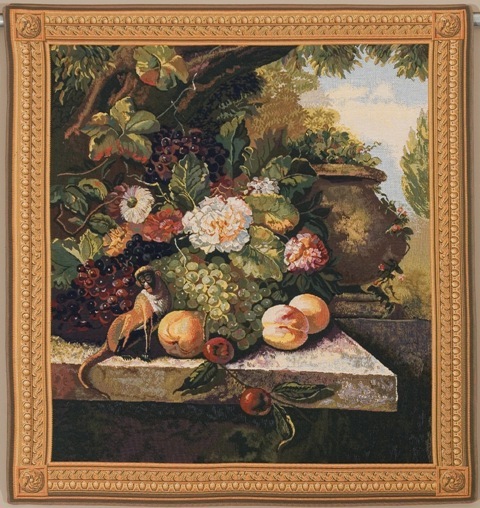 Our collection includes classic rich floral bouquets with birds or musical instruments on dark or pastel backgrounds, fruit and wine tapestry still lifes based on the masterpieces of the famous European painters, botanical contemporary art tapestries with abstract designs, a series of intensely colored large close up images of flowers etc. 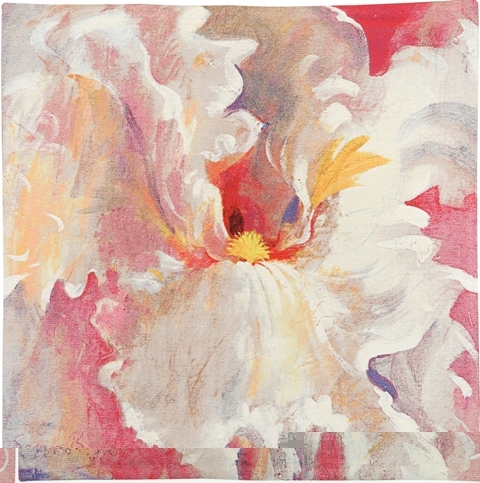 The color palette might be very different: from natural pastel shades to rich bright colors. 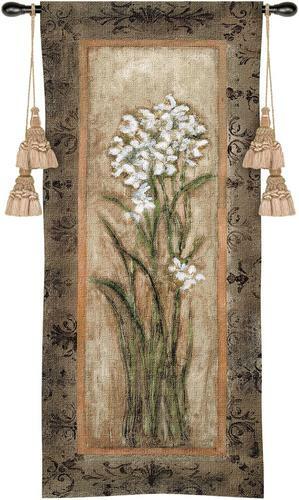 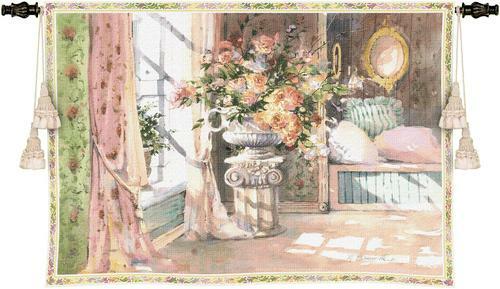 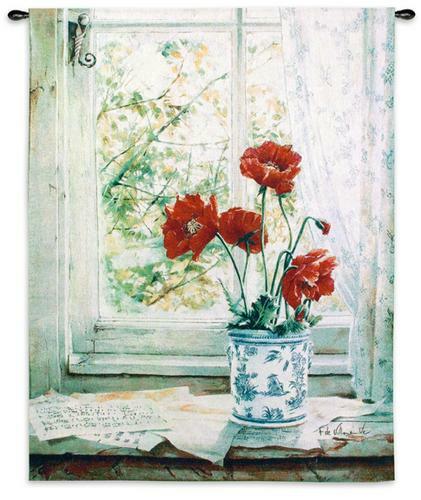 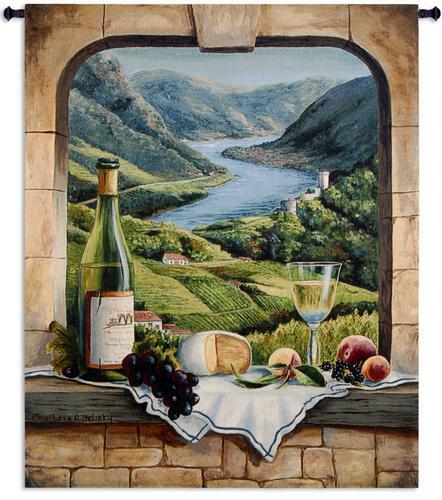 Some floral tapestries also represent beautiful landscaping pictures with views from a window or through an arch. 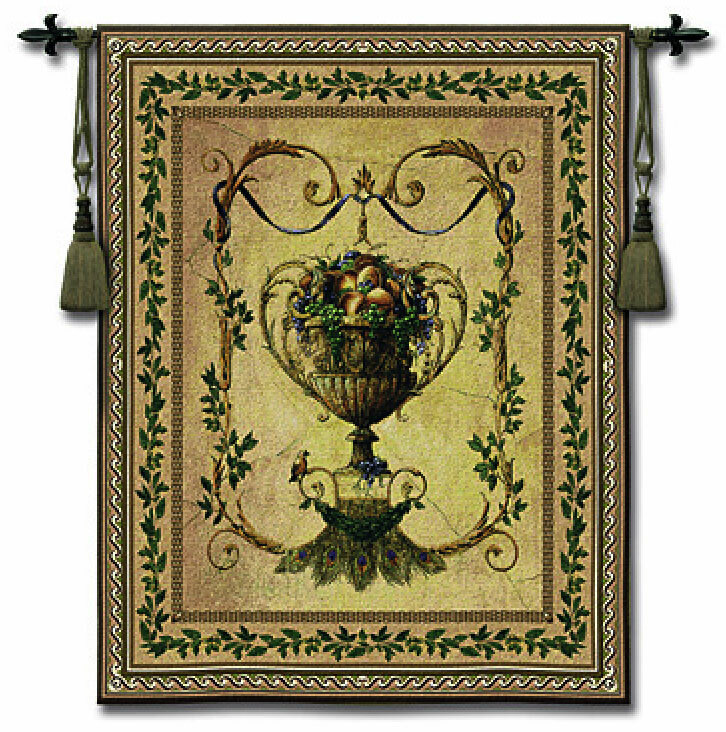 also available in size: H14" x W36"
also available in size: H76" x W54"
also available in size: H58" x W86"